I became a Rotarian in June 2008. I will admit that, at the time, I knew little about the organization. I saw it as a networking opportunity and a resume item. Shortly after joining, two members took me under their wings and showed me what it truly means to be a Rotarian. As with most things I do, I jumped in head first after that, taking on numerous roles within the club to help further our mission. Late last year, I was selected as President Nominee, which means I will serve as club president in 2012-13, making me the second woman to serve the club in this role and the youngest by 9 years. This weekend, I am with our President Elect and hundreds of other future Rotary presidents at the Great Lakes PETS in Kalamazoo. I am learning so much about how to be an effective club leader. During one session, our district governor gave us some homework. He tasked us with asking people in our community what they know about Rotary in order for us to gauge where we need to focus our PR efforts. So, what better way for me to reach those I interact with than via this blog and Twitter? My question to you is (and please don’t do a quick Google search): What is Rotary? What do we do? How do we do it? Not only will your responses help our club, which in turn will help our community, but it will help our district, our zone, and our organization worldwide, as well. 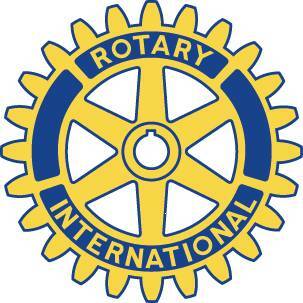 Rotary is an international service organization that works to connect many different parts of the community to serve as many as possible. Their meetings are a model for civility in public fourms, where members are encouraged to use the four-way test to be sure they are contributing to the discussion and not distracting from the purpose before the group. I’ve lost track of the number of different projects that different Rotarys engage in, but they put service before self and are always a great source of information about what is going on in the community. On a side note, I can commisserate with you on the whole “new presidency” thing. I am taking my turn at the helm of a (much smaller) organization without the benefit of having been a member of the group for a significant amount of time or understanding all the relationships involved. I’d be glad to be a sounding board if you ever ‘get stuck’ and offer what help I can provide. Amber, honestly I know nothing about Rotary. I like to think I am fairly well plugged into the community and what is going on around me, but I guess I always had this perception that Rotary was just a bunch of old men that get together occasionally. All I know about it is what I have heard from you, and from Derek’s comment above…. I am learning more about the Rotary in the past few days than I can remember simply by following your activities on twitter. There it is from me, wish I could help more. I am with Nick and Joseph. I know very little and from the sounds of it what I thought I knew is wrong. I thought that it was a bunch of old dudes getting together and chewing the fat. Congrats on the accomplishment! Which club? I won’t be much help to this exercise as I’m a former Rotarian. Service Above Self and the 4-Way Test! Rotary is known for ending Polio worldwide…at least from within Rotary, that fact may not be so much known in the public realm any longer. Thank you all for replying- as I suspected, a range of responses. Expect to hear more about the Anthony Wayne Rotary Club in the coming months. We will be ramping up our PR efforts so that the community knows about our service projects at the local, national and worldwide levels.